As a Building Society, we exist to put the needs of our members first and it’s the passion, dedication and commitment of our people that make this a reality. So it’s no surprise that we firmly believe that it’s our people who underpin the Society’s success. From the very first interactions as we recruit talented people who share our values, to making sure that we provide great development and career opportunities, right the way through to providing support on retirement – we really do cover it all. 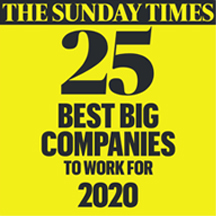 It’s not just the work that’s diverse; we have a brilliant mix of people who have developed their careers internally and bring a breadth of perspectives from across the business to people who have joined us more recently and bring a wealth of industry expertise and best practice from every sector. While the jobs that we do and our backgrounds are really diverse, we have in common the pride we take in ensuring that working at the Coventry encapsulates the way work should be. There’s a range of career opportunities within HR, so if you take pride in what you do and have a passion to make change happen then you’ll thrive in our HR team.